Felix the horse whisperer. 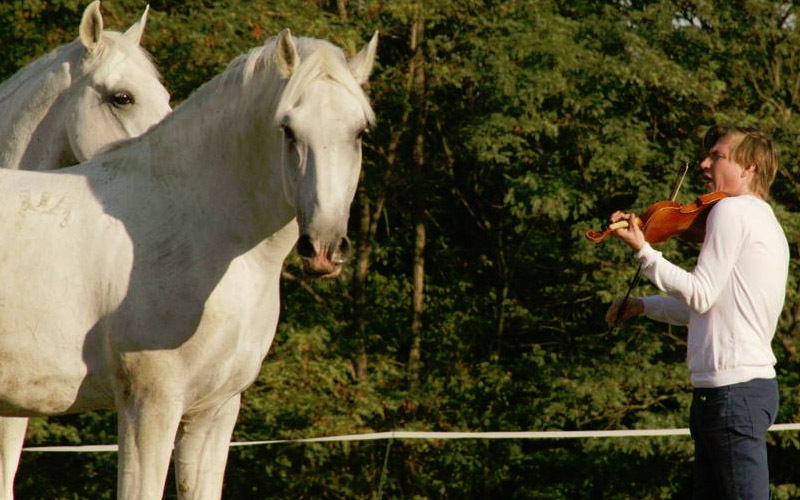 The extraordinary concert and horse show of the famous Hungarian Lippizaner was first performed in Vienna at the Spanish Riding School. Felix likes to be with the horses and playing music for them.